You should be able to stay in your own home for as long as you want. You can find lots of helpful advice on remaining at home on our Staying independent pages. To find out how well your home suits you, you can complete the questionnaire on the Housing Options for Older People (HOOP) website. If you are no longer able to remain living independently at home you may need to consider other options which may include moving into sheltered housing, extra care housing or supported living for people with disabilities. You may also want to consider accommodation which is specifically built for people aged 55 or over. Downsizing is a common trend among older homeowners. It enables you to release equity from a larger family home that’s risen in value, swapping this for something smaller, and more manageable in retirement. To help you decide if it is a good thing for you, SAGA have published a really helpful 'Quick Guide to Downsizing' which raises some questions to consider before making the move. Sheltered housing means having your own flat or bungalow in a block, or on a small estate, where all the other residents are older people (usually over 55, sometimes older). With a few exceptions, all developments (also known as 'schemes') provide independent, self-contained homes with their own front doors. There are many different types of scheme, both to rent or to buy. They usually contain between 15 and 40 properties, and range in size from studio flats or bedsits, through to 2 and 3 bedroom properties. For more information, please visit the Housing Care website. Some schemes also have their own manager or a shared manager, either living on-site or nearby, whose job is to manage the scheme and provide certain services to residents. 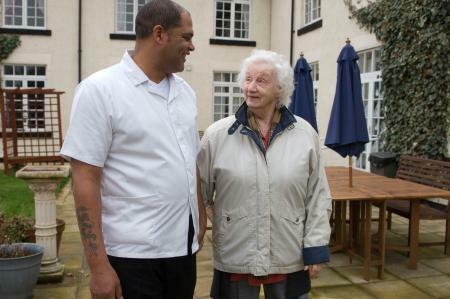 Extra care housing is social or private housing that has been designed to suit people with long-term conditions or disabilities that make living in their own home difficult, but who don't want to move into a residential care home. For details of extra care housing in Peterborough please visit the Housing Care website. You may consider moving into a care home. There are many care homes in and around Peterborough where a number of people live together in their own room, looked after by care staff, 24 hours a day. In certain circumstances, short term places are also available for people recovering from a hospital stay or illness, or to give the person who cares for them a break from their caring responsibilities. If we agree that a care home is the best place for you to live, we can then advise you on the choice of homes and also tell you whether they have any rooms available. We can help you find one in an area near to your own home or close to family and friends. We will encourage you, or your relatives or carer, to visit the home, to see if you would be happy there and to ask any questions. Visit our money matters section to view details of the cost of care in a care home. You can find details of all local care homes on these pages. If you are considering a care home, please check the latest reports from the Care Quality Commission. If you have needs that meet the new national eligibility criteria, you will be able to get some help from your local council wherever you live in England. Although the level of need councils use to decide whether or not they can help will be same across the country, the help you receive might be different in different areas. For example, one council might provide a buddying service to help prevent people from feeling lonely, while another might help people to stop feeling lonely by introducing them to community events in their area, so your support package may change. If you currently have a care and support package and are moving to Peterborough, you must notify your current local council of your intention to move out of their district. They will then contact us here in Peterborough to advise of the situation. 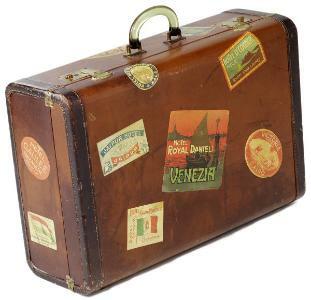 We will then contact you to discuss your needs and to confirm that you are moving into our local authority area. If you are thinking of moving out of the Peterborough area you will need to inform your social worker, to discuss the next steps and help contact your new council to advise them of your change in circumstances and contact information. A Safer Off the Streets website - an information hub which allows people to find what support is available and to make online donations quickly and easily. A new Safer off the Streets drop-in hub located in Wheelyard, will be open 6 days a week and offer support such as GP and health advice, housing guidance, volunteering activities and CV/job search. Outreach officers will work with individuals offering personalised plans and a clear offer to support them off the streets, made easier with a coordinated schedule for night shelters, food donations, cooked meals, volunteers and transportation, as well as in-shelter support services. Peterborough Winter Night Shelter – this Winter season the night shelter will be running from 26 November until 18 March. Ten churches are working together to host our homeless guests and warm meals and beds, with loads of love and support to help people get off the streets, will be offered. You can also find helpful information regarding homelessness on our website. The charity 'Shelter' has lots of useful information about homelessness on their website. They also have lots more useful information on private renting, tenancy deposits, repossession, eviction, repairs, housing benefit and council housing. Supported living is a scheme that allows people with learning disabilities to be integrated in society which offers the same right, control and choices of ordinary living that most people enjoy. It provides an alternative to traditional care and allows people to be supported in the community as citizens and members of the society. The main principles of supported living are that people with learning disabilities own or rent their home and have control over the support they get, who they live with (if anyone) and how they live their lives. Supported living assumes that all people with learning disabilities, regardless of the level or type of disability, are able to make choices about how to live their lives even if the person does not make choices in conventional ways.